In the Charles Schultz classic 1965 animated CBS Christmas special, A Charlie Brown Christmas, Charlie Brown, being his usual pessimistic self can’t seem to find the spirit of the season. Linus very astutely points out to him, “Of all the Charlie Browns in the world, you’re the Charlie Browniest.” Like Charlie Brown, many people walk around despondent and hopeless during what is supposed to be a season of hope and restoration for all. For too many people, Christmas has become a time of stress, pressure, painful reflection, and depression. In fact, the depression and suicide rates climb sharply during the Christmas season. Leave it to the devil to drive people to hopeless self-destructive behavior when the rest of the world is celebrating the coming of the Lord and the uncovering of the good news! People were not created to live without Bible hope. Bible hope, unlike the wishful thinking the world tries to pass for hope, is literally a spiritual force which means Bible hope causes amazing things to happen in our lives. Bible hope is a blueprint for our faith. It is our horizon for life that gives us a clear picture for the future. It is an inner mage of an eager expectation whereby we live life with our necks outstretched looking and longing for the breakthrough rather than for the other shoe to drop. Bible hope is said to be the anchor for our souls or the force that anchors the mind, will, and emotions on the truth of God’s Word so that we are steady and stable no matter what storm is brewing around us. Without Bible hope we are easily tossed to and fro based on the circumstances we find ourselves in at the time. In other words, true hope as the Bible describes is an indispensable gift and necessity in the life of every believer. Proverbs 13:12 says that, “hope deferred makes the heart-sick.” This means that when our hopes in life are delayed or destroyed, the heart or the spirit or core of the man is made sick or afflicted. This “spirit of Charlie Brown” or hopelessness is at the root of so many of the negative consequences in the lives of people (even believers) like depression, suicide, apathy, lack of ambition, lack of self-respect, and even addiction. It is a terrible thing to watch a dream delayed or fade away, but the condition of heart sickness and hopelessness need not be permanent or terminal. Our hopelessness may be related to a single issue or about life in general but we can get the hope back and get the Charlie Brown out of our lives by applying some powerful Bible principles. First, stop putting your hope in the wrong things like the government, the economy, relationships, employers, etc. or you will be chronically disappointed. Psalm 42:5 encourages us to put our hope in God. Second, wait daily on the Lord. In keeping with Isaiah 40:31, as we wait upon the Lord our hope and strength is renewed and restored. In fact, we cannot absence ourselves from the presence of God and expect to live a hope-filled life. Third, always stay in love with all people because strife, bitterness, and unforgiveness have a way of draining the hope right out of our hearts. 1 Corinthians 13:7 says that love always hopes. Fourth, keep your focus squarely on Jesus because he is the very source of our hope (Ephesians 2:12-13). Fifth, call to mind God’s faithfulness in your life. Think about all the times He has come through and trust him because the mercies of God are limitless and new every morning (Lamentations 3:18-22). Finally, build your hope on the Word of God. The written Word of God is an inexhaustible source of hope for the believer. If we are feasting on the Word regularly, our hope level will stay strong. There is no question that our expectation rises and falls in life based on the time we have been investing in reading, studying, memorizing, and applying the Word of God to our lives. 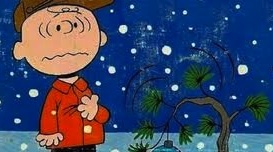 Decide today that you are not going to walk around this Christmas season like Charlie Brown. Make up your mind that when people see you coming they are going to be excited to see you because you exude life, hope, and the joy of a person that has a burning inner image of expectation in your life. Charlie Brown takes people down but the hope-filled believer lifts others up. It’s time for Charlie Brown to move out of our hearts and welcome the hope of God back in. Seek Unforgiveness. Someone hurt you lately? Cool. Here’s what you do: Hold a grudge. That’s right. Don’t give in to the temptation to be the weaker one. Keep steady. Better yet, give them the silent treatment. Yeah! It will teach them a lesson and you’ll be well on your way to burning out. Pursue Passionlessness. Ask yourself this question: “What ministry fuels my passion?” Got your answer? Good. Now do something (anything) that is the opposite of your answer. Do the thing that is a total drag for you. Give it your all. Seek the boredom. Revel in the difficulty. It will annoy those around you and you’ll be well on your way to burning out. Engage In Prayerlessness. Got prayer concerns? Want to touch the heart of God? Want to seek and sense His will for your life? Forget it. You’re looking to burnout, right? Good. Then cut ALL prayer from your routine. Don’t pray in the morning. Don’t pray when you’re stressed or sad. And don’t pray when things are going well. Think of the time you’ll save. 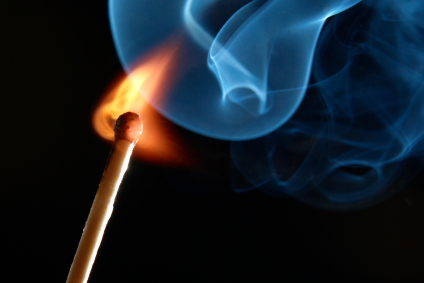 It will grieve the Holy Spirit and you’ll be well on your way to burning out. Be An Impostor. Are you introverted by nature? Be extroverted. Are you methodical? Be spontaneous. Are you a people person? Then be a recluse. You have to understand that being yourself is simply going to keep you from burning out. So don’t be yourself. Better yet, try to be just like someone else. It will irritate your loved ones and you’ll be well on your way to burning out. Over-identify. In your work with others, you will feel their pain. This is good. Dwell on it. Identify it so deeply that you begin to feel responsible for it. This will give you ownership of their pain, as though you were the cause. You will sink in the quicksand of their misery. You won’t be able to help them because you’ll be so depressed yourself. This will help others become co-dependent and you’ll be well on your way to burning out. So you see, if you are interested in burning out, it’s quite simple really. Just follow these 5 easy steps and we’ll see you in rehab! In response to this thought provoking article, let me encourage you to (1) Be quick to forgive. Remember that holding on to bitterness is like drinking poison and expecting the other guy to die; (2) Focus on what you are passionate about. While it is true that we all have to do things that do not thrill us, for the most part you should be focusing on those areas that energize you and are life-giving; (3) It’s time to seek the face of God like never before. Burnout is accelerated when there is no living contact because time in God’s presence is the number one vital need for the believer. How long can we live without oxygen? We won’t live long without God’s breath in our lives as well; (4) Reject any influence to be anything you are not. Throughout history, God has used all types of personalities to do great exploits in His name. Focus on walking in love, compassion, integrity, and authenticity. As one theologian has said, “preaching is truth through personality.” Work on the weaknesses of your personality but allow the Lord to use the unique person that you have become; and (5) Remember that you are not the savior and you are not to take responsibility or ownership for the poor choices of people or the pain they experience in life. We are called to bind up the wounds and help heal hurting hearts but we cannot if we become codependent in the relationship or the enabler. “Why do you let your emotions take over, lashing out and spitting fire?” (Job 15:12, MES). ”A sound mind makes for a robust body, but runaway emotions corrode the bones” (Matthew 13:21, MES). ”A fool expresses all his emotions, but a wise person controls them” (Proverbs 29:11, GW). Human beings are very interesting and complex beings. We are spirit beings made in the image of God and we possess a soul (the mind, will, and emotions) and live in a body (our earth suit while on this planet). The Lord made us to be emotional beings but He never intended for those emotions to dominate, control, and direct the paths of his people. We are to express emotions without those emotions pushing us around in life. At the end of the day, living our lives at the mercy of drama is a waste of potential and our lives. Drama is unproductive (produces no results), it reveals unbelief, it postpones our answer and breakthrough, it drains our energy, it wastes our time, it taints our decisions, and it influences others adversely. When the twelve spies returned after spying out the land of Canaan, drama, not faith was most evident and spread like wildfire through the camp of the people of God. Despite the exhortation and faith of Joshua and Caleb, the people gave themselves over to drama and missed God’s best. When drama is operating in our lives (like the ten spies), we find fear, excuses, unbelief, bad reports, weeping, grumbling, questioning God, negativity, backsliding, rebellion, and anger. If you see these tendencies in your own life it’s time to recognize the influence of drama in your life and the probability that you are living a very emotion-based lifestyle. Allow the Lord to minister to you the reality of His Word in every situation of life and listen closely for his still small voice. Go ahead and “feel” things but don’t allow those feelings to push you off the path of God for your life or to continue in that cycle of poor decisions. Every part of the human being was created with a purpose and for good but we must not allow the purposes of these different dimensions to get confused. The hands, for example are for touching, holding, working but not for walking. Similarly, the emotions are not designed for leading but for human expression, empathy, and connecting with a hurting world all around us. It’s the job of the human spirit enlightened by the Holy Spirit to discern the will of God and yield to it accordingly. Ignore what you see and hear (vv. 35-36). In every challenge in life we have the opportunity to focus on the circumstances or choose to focus on what God has said. Jesus after hearing the death report ignored what they said and told Jairus, “Don’t be afraid; just believe” (v. 36).Unfortunately, this is where we are undone most of the time. The force of what we perceive in the natural becomes more real to us than the reality of the Word of God. Curb the emotion (vv. 37-40). It’s one thing to experience emotions. It’s another thing altogether to be moved by them. It’s hard to stand in faith with all the commotion, the wailing, and the crying, but faith will immediately move to separate the emotion from the Word. When Jesus was informed of the death of his friend Lazarus in John 11 we know he empathized and even wept. The difference is that he did not let the emotions control him: “Jesus seeing her weeping aloud, and the Jews in like manner weeping – Jesus curbing the strong emotion of his spirit…” (John 11:33, Weymouth). Declare the Word (vv. 41-42). 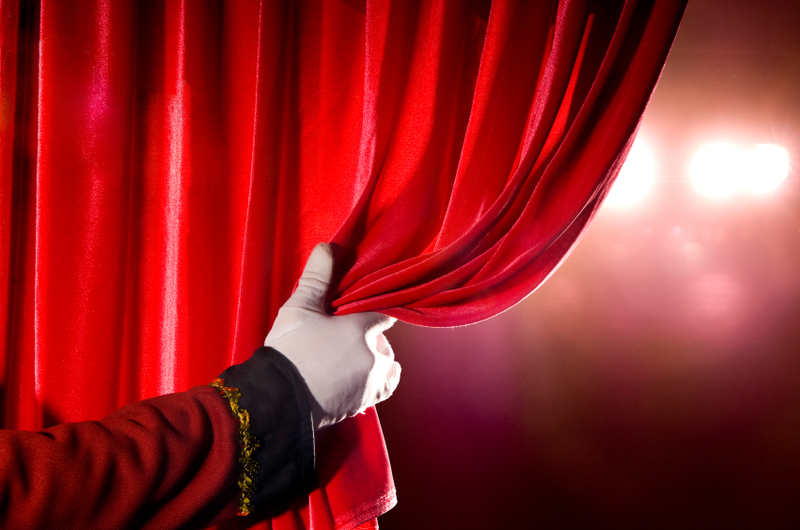 If we practice drama in our lives we will keep in on the ready and become very good at it. We become skilled in what we practice. If we practice our faith we will begin to produce results. Instead of focusing on the emotional intensity of the situation, Jesus boldly said, “I say to you, get up!” (v. 41). Faith responds with the spoken Word of God and not drama. We must learn to conform our emotions and the drama in life to Christ rather than conforming the Lord to our drama: “We use our powerful God tools for smashing warped philosophies, tearing down barriers erected against the truth of God, fitting every loose thought and emotion and impulse into the structure and life shaped by Christ” (2 Corinthians 10:5, MES). “Why do you let your emotions take over, lashing out and spitting fire?” (Job 15:12, MES). “A sound mind makes for a robust body, but runaway emotions corrode the bones” (Matthew 13:21, MES). “A fool expresses all his emotions, but a wise person controls them” (Proverbs 29:11, GW). The Scriptures are very clear. Being a Christian does not somehow inoculate one from trouble, challenges, and setbacks. We are promised a remedy, help, support, and restoration when we do find ourselves up to our ears in difficulty. John 16:33 says, “in this world you will have trouble, but be of good cheer, I [Jesus] have overcome the world.” Mark 4:17 reminds us, “when (not if) trouble or persecution comes because of the word.” Psalm 46:1 exhorts, “God is our refuge and strength, an ever-present help in trouble.” The trouble often leads us to reacting emotionally in a direction that contradicts the sound counsel of the Word of God. There are two common responses to trouble and challenges in life: (1) drama – the expression of anxiety, turmoil, doubt, fear, anger, or unbelief through the emotions or, (2) rest – the peace of God that is the consequence of the release of the force of faith from the spirit. Hebrews 4:3 teaches us that we are to labor to enter into that rest through faith. Drama can include breaking out into tears, pity, whining, complaining, anger, threats, bargaining with God, depression or the putting forth of fleeces before the Lord. James 1:19-21 reminds us to be quick to listen, slow to speak and slow to become angry because our anger (or drama) does not bring about the righteous life that God desires. Some would say, “why it’s not natural to go through trouble, hardship, and challenges without the drama.” Right, and we are not natural people, we are supernatural, born again, new creations in Christ Jesus! We need to remember when we’re tempted to yield to an emotional meltdown that drama is not anointed to deliver, heal, provide, or produce. In fact, drama often pushes you right out of the will of God. Emotions become dangerous and a liability when we let them dictate our path or when we begin to believe that drama will actually bring any constructive solution. Think about some examples from the Bible. If Cain had skipped the drama he never would have slain his brother. If Abraham had skipped the drama he would have waited for Isaac and prevented the impact of Ishmael that is with us to this day. If Moses had skipped the drama he would have entered the promised land. If David had skipped the drama he would have kept his pants on. If Judas had skipped the drama he would not be snorting sulfur right now. Let’s face it. We are emotional beings but the Lord never intended for us to run our lives through the impulses of the emotions but through the peace of the born again spirit. 1. Drama is unproductive (yields no results). 2. Drama reveals and indicates unbelief. 3. Drama postpones the breakthrough in our lives. 4. Drama drains our energy. 6. Drama taints and skews our decisions. 7. Drama influences others negatively. Be watching the blog for more on “skipping the drama.” I will be discussing how to stop the drama in your life. Remember, there’s something on you – it’s the blessing!